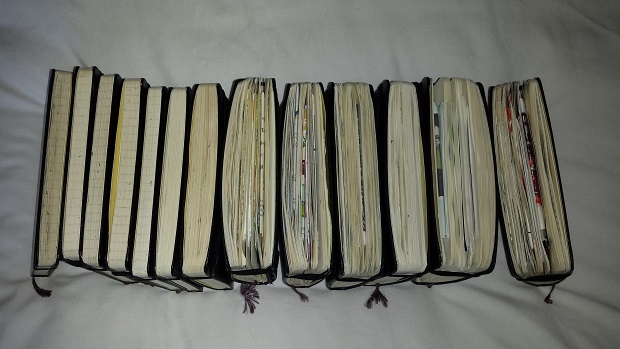 As illustrated in my blog post on Personal Knowledge Management, I have been keeping a journal since 2007 of personal thoughts and events in a Moleskine rather than putting everything online. Just at nearing the final pages of number 13 to move onto the next one, I went back to the previous Journals and found that as I went through them they have got fatter with “extras” being added, more and more. I suspect this is down to recording more, but some of it is probably because life has become faster and busier over the years.